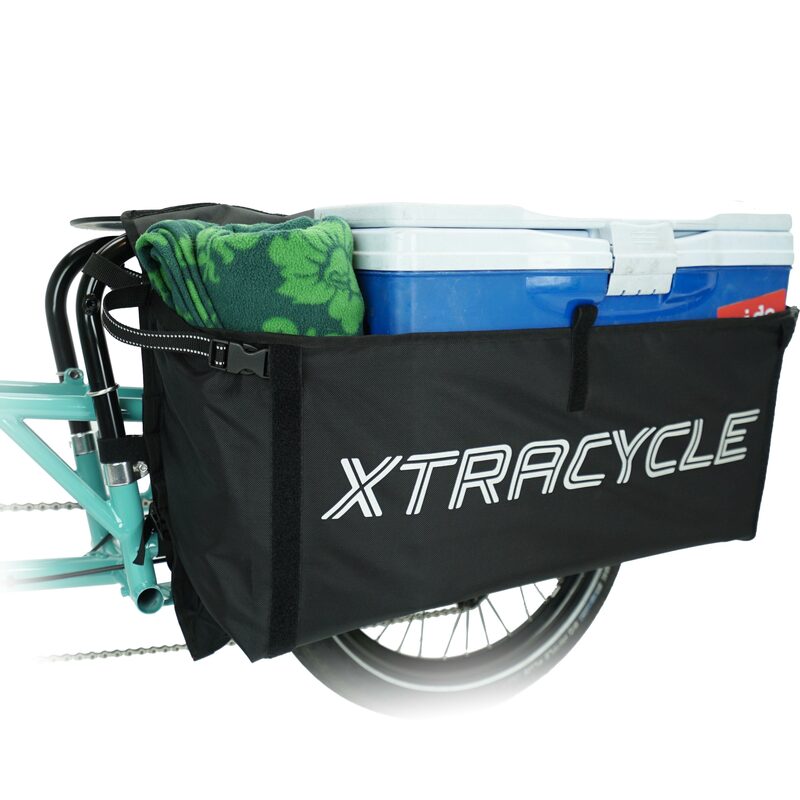 Great for carrying groceries, beach towels, school bags, library books and plenty of other medium-sized items. Side cinch buckles on the CargoBay lid allow for the top to be adjusted easily to fit your cargo needs. There is no need for WheelSkirts when using CargoBays, since they keep the rear wheel covered. But if your bike already has WheelSkirts, you can simply install these over the skirts with simple modifications. CargoBays can be used in combination with a SlingSet for additional carrying capacity. The CargoBay is sold individually (if you want one on each side of the bike, please order two). 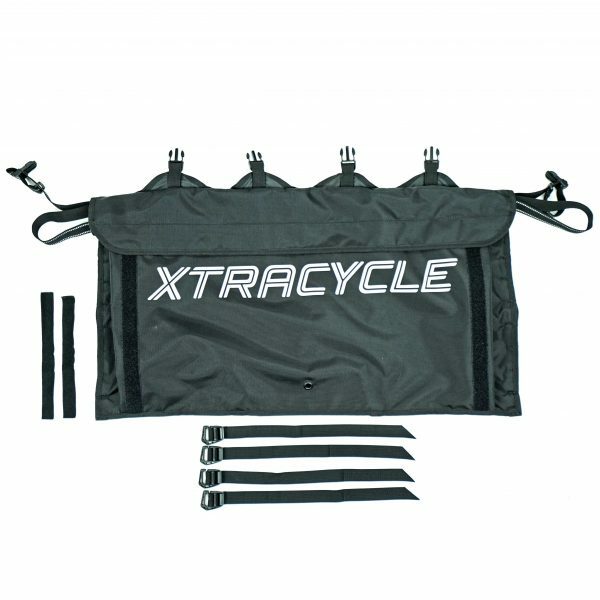 Want more details about the New X3 bag system? 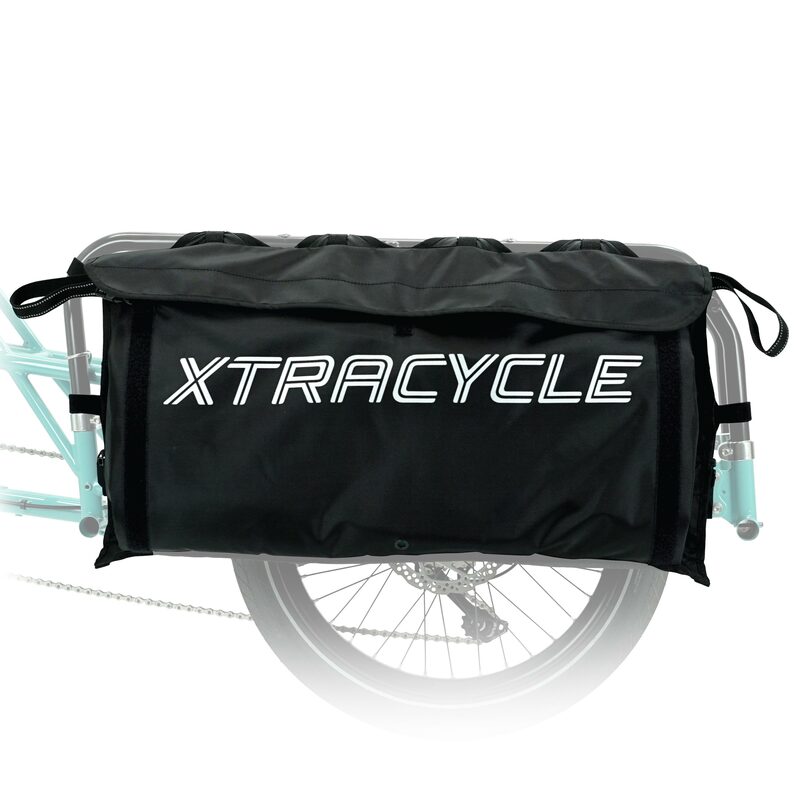 Check out the article about the system here or take a peek at the intro video from Xtracycle founder, Ross Evans. Is it waterproof?? Thank you. Hi Zakiya! The CargoBays are weather resistant but not weather proof. If you are looking for additional weather protection, make sure to add the HiViz Lids to your CargoBays. Will the CargoBay bags work on a RadWagon bike? Hey there, Joe! As far as we know, the CargoBays will not fit on a RadWagon. 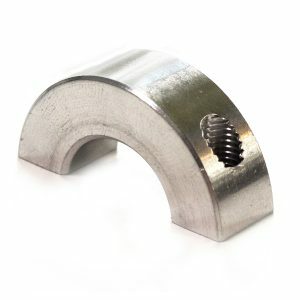 Will these fit well on a Yuba Mundo? Hey there, Melissa! 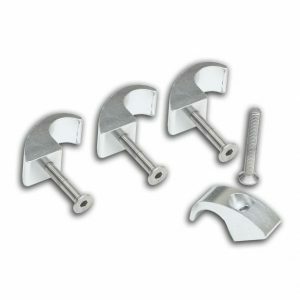 Unfortunately we are not aware if these will fit on a Yuba Mundo. 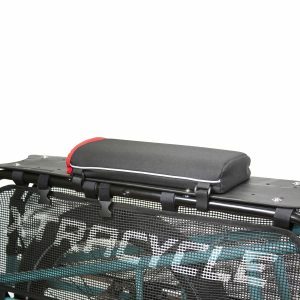 Will this fit on a Pedego Stretch? Hey there, Melissa! 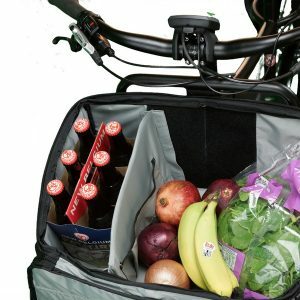 Unfortunately we are not aware if these will fit on a Pedego Stretch.